Kayaking is one of the most adrenaline full experiences in the water. From lakes, to rivers an even waterfalls, kayaking is a sport for the strong minded and those willing to go to remote places where most of the people wouldn’t even dream of visiting. Paddling silently through remote landscapes is definitely one of the best ways to get up close to the nature and get to know see amazing landscapes that otherwise you wouldn’t be able to reach. If you have reached this post, it means that you are interested in the world of kayaking. If you do, then you’ve landed on the right page. Here we’ll tell you all you need to know to start enjoying the wonderful sport of kayaking. Let’s start from the beginning. Who invented Kayaks? The history of kayaks is much older than many people think, and the kayaks you have seen have nothing to do with the original boats. The history of kayak dates back to the first Eskimos from the Inuit and Aleut tribes from the artic region of North America, they were the first to build this type of boat. There were mainly two types of vessel: The Kayak and the Umiaqs. This kind of boats were used solely during the summer seasons for hunting and fishing or to move the families to the hunting grounds and have been used for more than 4000 years. The Umiaqs were very long vessels, up to 60 feet and the primary function was the transportation of the whole family group along with their possessions but they were also used by large groups of men for hunting whales and walruses. The kayak was a single person boat invented for hunting; the word kayak actually means “Hunter’s Boat”. At the time they were invented, there was to ways to make a kayak. The first method was to build them by using light driftwood, the other method used whale bones to build the frame and both methods used stretched seal skins to cover the frame. For improved impermeability, the Eskimos used to rub whale fat all over the surfaces of the kayak to avoid the water from entering the vessel. These boats were also almost unsinkable as thee Inuit’s used to fill seal bladders with air and tucked them into the fore and aft sections of the boat… a true engineering masterpiece for that time indeed. In the modern times, Eskimos still fabricate their own boats but have implemented the use of modern resources such as screws and bolts to make their jobs easier. The kayaks made a long way from the arctic regions of North America to Europe in the early 1800 as a soft sided frame boat, then the French and Germans where the first persons on the world to use these boats for sports. Also they became very popular among the explorers of the icy regions of the world as they made the exploration of the North Pole and South Pole more comfortable and were carried around in every exploration. Very soon, the International Scale of River Difficulty was introduced and is the same system used to day to classify the level of danger that the kayaker puts himself in when going in to a river. 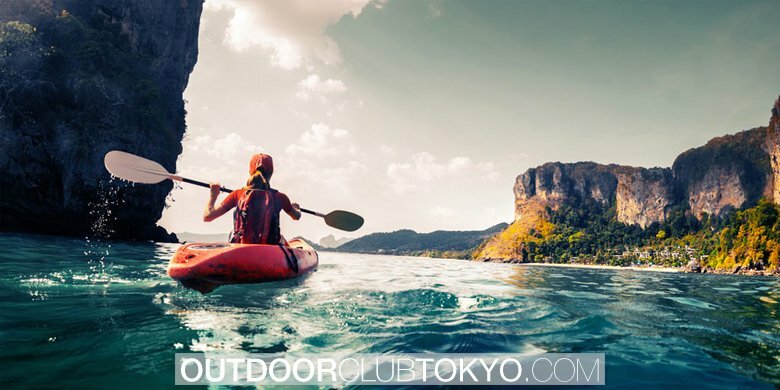 In 1936, kayaking was introduced as an Olympic Sport and that’s when the kayaking started gaining so much popularity. In the late 1950’s, the kayak took an evolutionary leap when manufacturers start using fiberglass in the making of the boats. Then in the 80’s the modern polyethylene kayak (that one we’ve all seen) was introduced. In modernity kayaks are made in a lot of different ways with different materials. You can even find kayaks made of Kevlar. Now that you’ve learnt a bit of the kayak history it’s time to put you in the right direction, there are many different types of kayaks hull designs and fabrication materials. Ones are best suited for fishing, other are best for speed or stability, it all depends on your needs and the amount of money you are willing to pay, kayaks are like most of the things you purchase, you get what you paid for. Polyethylene (PE): Polyethylene is the most used material in the fabrication of kayaks because of two main features. One is that this material is extremely resistant to impacts and abrasion. The other feature is that this material is extremely unexpensive. On the other hand, this material has a limited lifetime and long periods of sun exposure will make your kayak brittle over time. Thermoformed ABS: One of the latest revolutions in kayak making was the introduction of thermoforming processes. This process of manufacturing uses not only polyethylene but also a wide range of different materials such as modified acrylics and ABS. This process of manufacturing makes for great kayaks that are more lightweight than traditional Polyethylene ones, while staying durable and resistant. Composite: This is one high-end category of building materials, As the name says it it is a compound of different materials, the most popular are fiberglass, Kevlar and different carbon blends. These type of kayak materials are the most expensive on the market and are usually offered to professional kayakers, but if you have the money and want a high-end product that is easily fixable and that will last for decades, this is the best choice. Soft Shells: Soft Shelled Kayaks are inflatable boats made of cloth like materials. Far from common belief, these kayaks are very durable and resistant to abrasion and punctures, and are easily fixable with patch kits. Another great feature of this kind of kayaks is that they are extremely easy to store and transport giving you the chance to carry it on planes and in long trips without fearing damage to the boat structure. Recreational Kayaks: Recreational kayaks are best suited for calm waters as lakes and placid rivers. They are affordable and easy to use and offer great stability, something that is very important for beginners. One downside is that they are not fit for use on open waters, currents or under windy conditions. They usually feature a small storage compartment for short trips, and some include larger storage areas for long trips for day long touring. Normally this type of kayaks are made of polyethylene and are a bit heavy for carrying and transportation. Touring Kayaks: Touring kayaks are best conditioned for open water touring, long trips and work extremely well under rough weather and water conditions. They usually are between 12 and 17 feet long and have more storage space than recreational kayak and the hull is specially shaped to give optimal conditions in waves and usually have a tracking system that can be a skeg or a rudder or a combination of both. They are usually made of plastic or different composite blends to make them more lightweight and easy to carry and transport. Modular Kayaks: Modular kayaks put two worlds in the same hull. They combine the durability of hard shell polyethylene kayaks with the ease of transportation of soft shell kayaks. 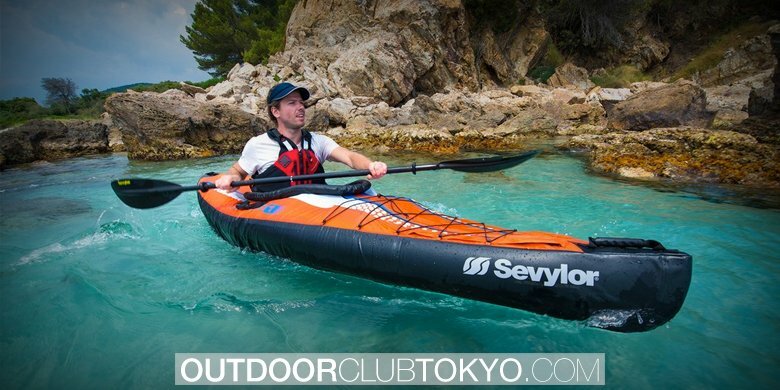 This kind of kayak has a unique feature and is that it can be separated in two or three sections that will allow you to transport it however you want, modular kayaks can have recreational, touring and sit on top designs so you can choose to buy a modular kayak for your specific needs. Sit on top kayaks: Sit on top kayaks are best suited for recreational use but they are also good for combining with other activities such as swimming of fishing. This type of kayak is perfect for kids, beginners. 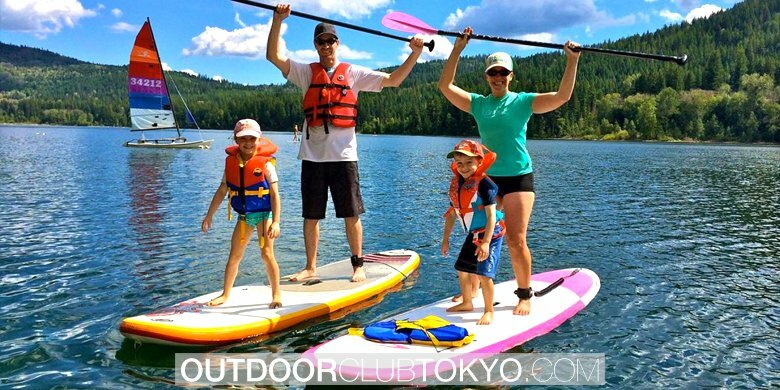 One of the most relevant features of this type of kayaks is that it is really easy to get in and out of it no matter if you are on the shore, on a dock or in mid water. The special design of the seating are of this kinds of kayaks makes them usually wider than most kayaks which results in slower motion through the water, but what it lacks in speed it makes up with an incredible stability. They are best for warm climates as the seating is uncovered and gives you more freedom of movement. Inflatable kayaks: These kayaks are the best in terms of storage and transportation. Some people think that these are toys instead of actual boats but you’d be surprised with the sturdiness and versatility of this type of boat. 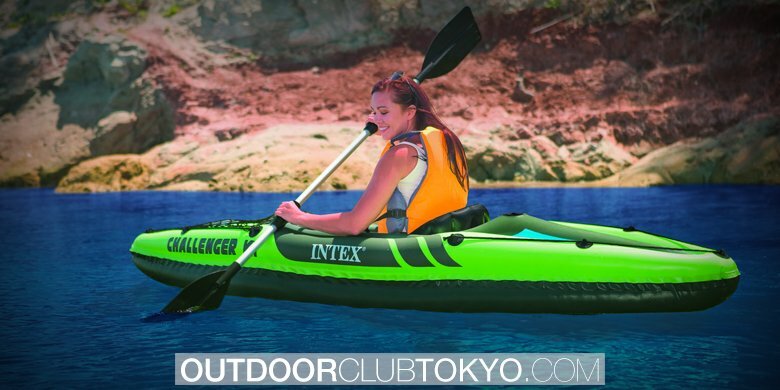 Inflatable kayaks feature compartments that you can inflate in many different ways, as these compartments are filled with air, it gives this boats a mayor level of buoyance. They range from 10 to 15 feet, they are extremely maneuverable but require more effort when paddling. 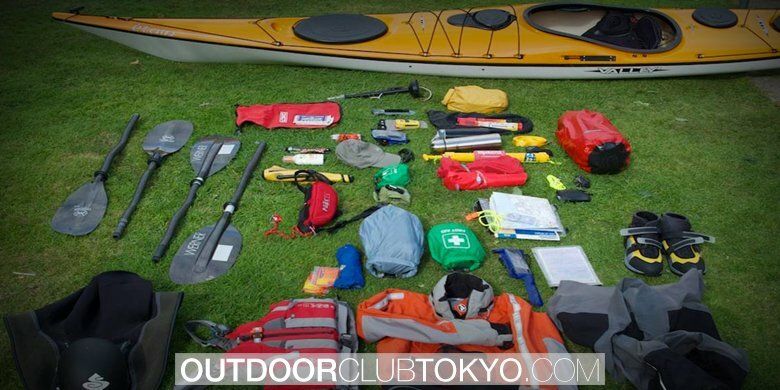 Folding Kayaks: This kayaks can be disassembled and are easily transported in a backpack sized carry bag, one of the biggest difference between inflatable and folding kayaks, is that folding models come with greater storage space and their ridged frame. These kayaks are best suited for touring. White water kayaks: This type of kayaks is special for white waters, its design and features make them perfect for this purpose. They range from 4 to 10 feet long, have rounded bottoms and turn up at both ends for easier rapids navigation. Fishing Kayaks: specially designed for anglers, these kayaks come with tons of features for fishing, they include rod holders, storage space and some even include built in tackle boxes. Usually these kayaks are really stable allowing the angler to stand on it for improved visibility and casting. Another important fact to to take in consideration is that the different lengths of kayaks serve for different purposes. Shorter kayaks are easier to turn and maneuver and best suited for you if you take the transportation of your boat as a determining factor on your choice, while longer ones are best suited for paddling over longer distances and maintaining a straight line while on the water. The width of the boat is also an important factor, wider boats gives better stability in calm conditions while less wider ones tend to be much faster and offer for better secondary stability if the boat is leaning over to one side. Weight capacity is also extremely important, each boat has a determined carrying capacity and going over it can result in bad paddling experience. The hull shape is very important when deciding what type of kayak you are going to buy. Hull shape greatly defines the performance of the boat, especially on the stability side. There are three different types of hull shapes: Flat, Rounded and V-shaped hulls. Flat shaped hulls are normally found on recreational kayaks and they offer the best initial stability in flat water conditions. Rounded hulls are more often found on day touring boats, they offer good initial stability and move faster and easier on the water that flat shaped ones. V-Shaped hulls offer the least initial stability and are preferred for long distance touring. We have already given most of the important information to consider while making your purchase choice. But this isn’t over yet. You have to remember that all types of sports have some kind of risks and kayaking is no exception. In fact, no matter your level of experience, is best to be always prepared in case of anything that could happen. That’s why, as a bonus, we have decided to let you know that there are some accessories that are important to have. Even when the word accessories makes us think of something that isn’t entirely necessary for us, the truth is that the ones we are going to list are extremely important and you should really never go kayaking without them. Paddle: it might be a bit redundant but this is something you need to buy if not included in your kayak, whiteout it you wouldn’t be able to move from the shore. Helmet: almost every sports that requires some sort of vehicle requires you to have a helmet. You might think that you can only hit the water and that it won’t cause you any harm, but the truth is that you could hit your head with the bottom of the body of water or even hit your head with the kayak if you are going under harsh weather conditions or if you tipped of your boat. Personal flotation gear: most commonly known as life vests, this is something of extreme importance, no matter if you are a professional swimmer, if you get injured this safety gear will probably save your life. With this we conclude this post and hope that we have provided you with all the information you need to know about kayaks and the most important considerations to have in mind when buying your first boat.